Always check what facilities are available on the campsite. Are there showers, barbecues and easy access to drinking water? Are the sites powered? Is the campsite dog or family friendly? Is there a shop or pub within walking distance? If you're choosing a popular campsite or want to camp on a bank holiday weekend, be sure to book early. 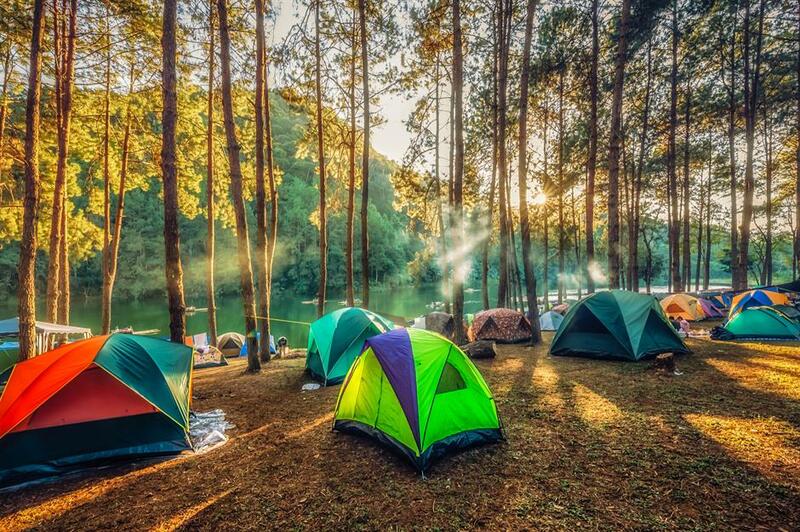 The idea of a two-week adventure in the great outdoors may sound enticing but if you're camping novices, it's best to dip your toes in first. Book a long weekend and see how you get on. Or, if one of your party is a less-than-keen-camper, you could combine a few days of camping with a few nights in a B&B so they can enjoy having solid walls and a few home comforts. 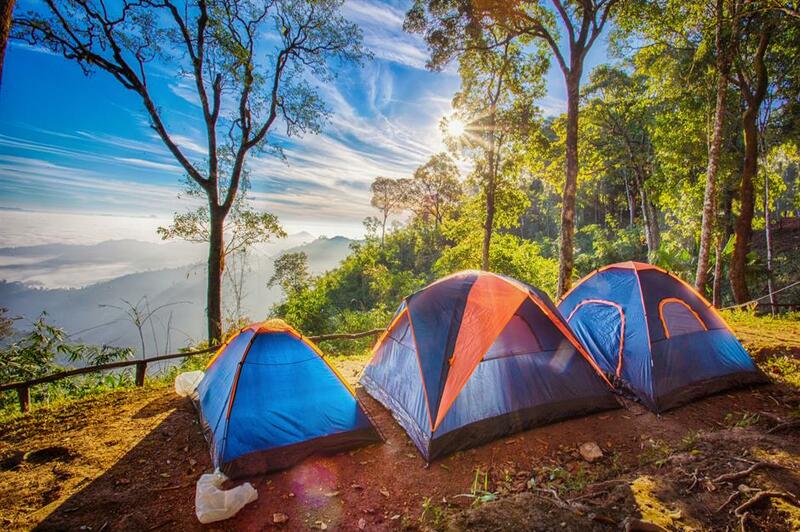 Again, if you're new to camping it's an idea to tag along with friends that are regular campers. They can show you the ropes and that way you don't need to buy all of the gear either. 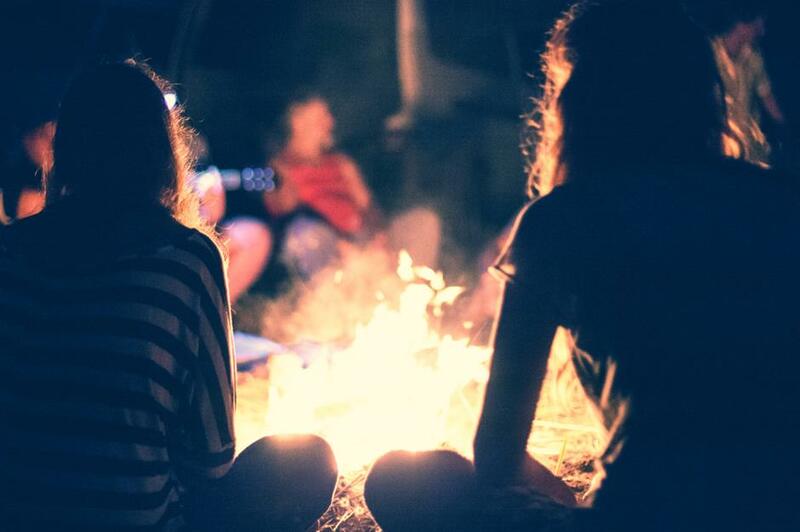 Plus it's great fun going with a group of friends – think long chats next to a blazing campfire. Another tip for first timers is to look for a campsite that's not too far from home so you can pull the plug in case of bad weather or other discomforts. 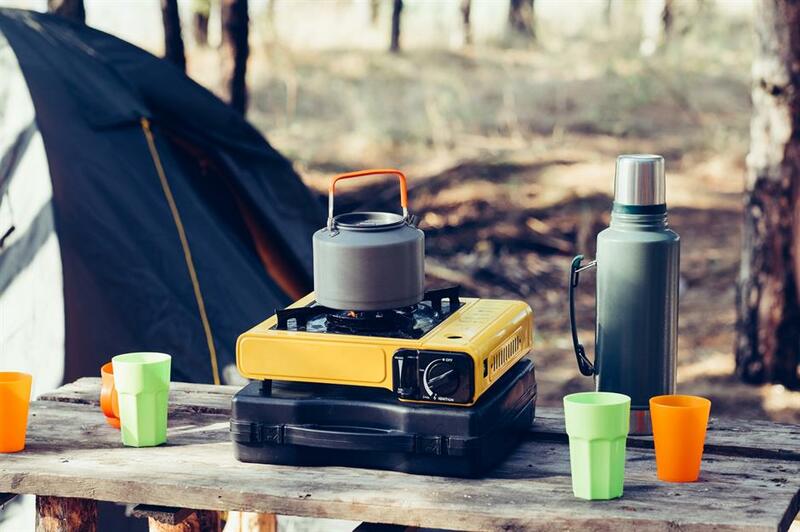 Seasoned campers will tell you to buy the best gear that you can afford but that means a camping holiday can be pretty costly. 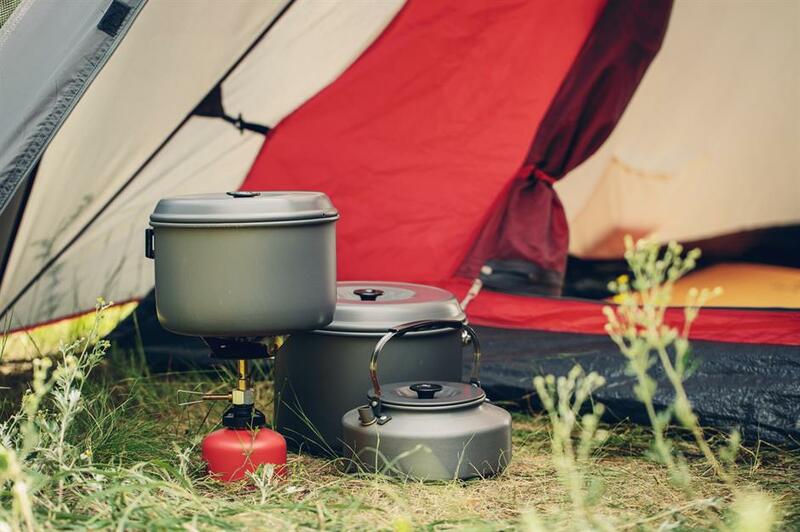 Look to buy camping gear out of season as the outdoor retailers often have some fantastic bargains. Once the weather starts hotting up, you can expect to pay full price. 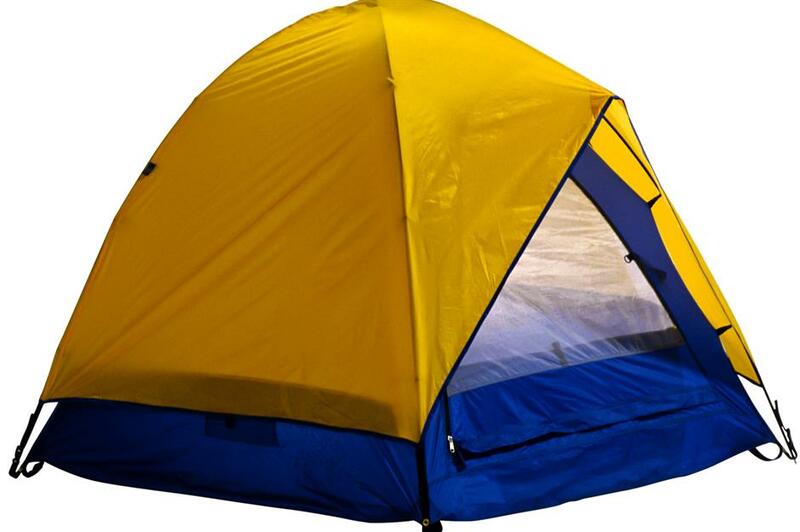 Shopping for camping gear online is fine but not when It comes to your tent. It's highly recommended that you visit a bricks-and-mortar retailer for this essential piece of kit so you can see how the tents look. It's the only way you can really get a sense of the space and know if it will suit your camping requirements. You don't want to be rattling around in a voluminous tent, but you don't want to be elbowing or tripping over each other in the night either. Always size up when choosing a tent and get one that you can stand up in so you don't spend the entire trip stooped over. A porch area is great too to keep muddy boots and other outdoor gear covered but outside. So you've seen the tent pitched in the shop but not how they assembled it. Always practice pitching the tent yourself before you head off on a camping trip to avoid a frustrating assembly in front of fellow campers and to make sure all of the parts are there. And when heading off on future trips, be sure to check the bag to make sure that you still have all of the parts. 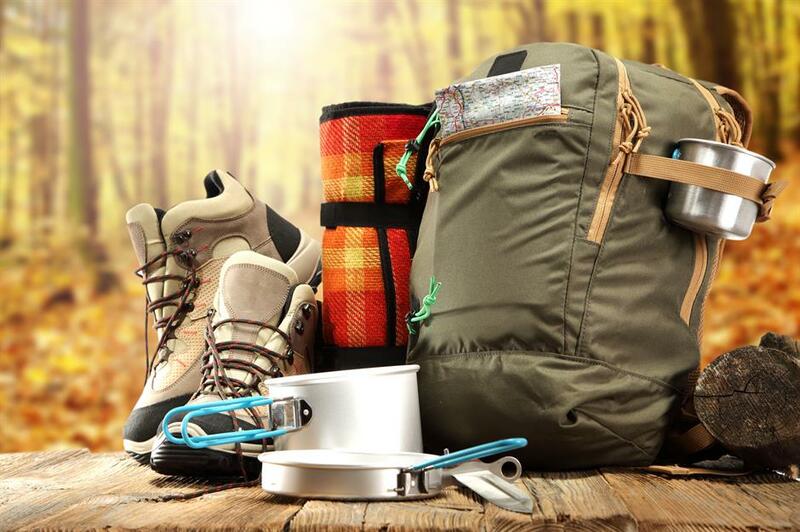 Checking off a comprehensive packing list is a must for camping trip so you don't forget a crucial piece of kit. 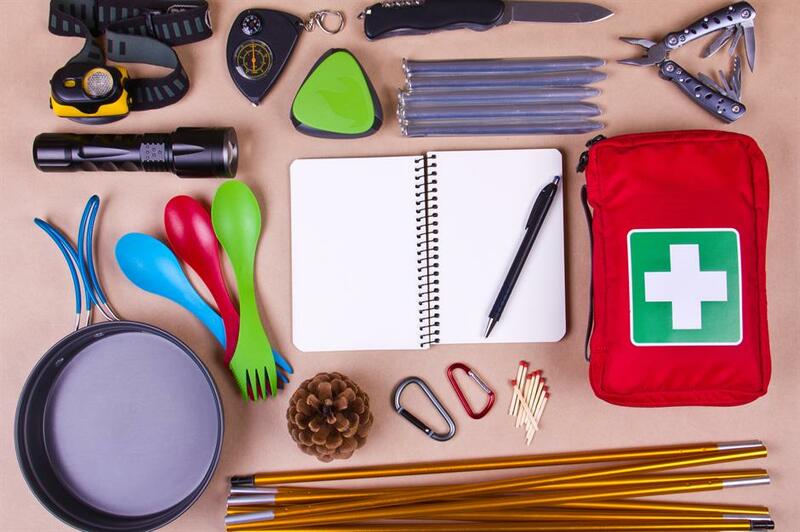 Some essentials include a mallet, camping chairs (complete with drinks holder), cooking stove (check out our favourite), lightweight pans, a chopping board, folding table, cool box, plastic crockery and cutlery. A sharp knife, tin and bottle opener shouldn't be missed. A pack of cards, board games and portable speakers are also great for rainy days and evenings by the fire. 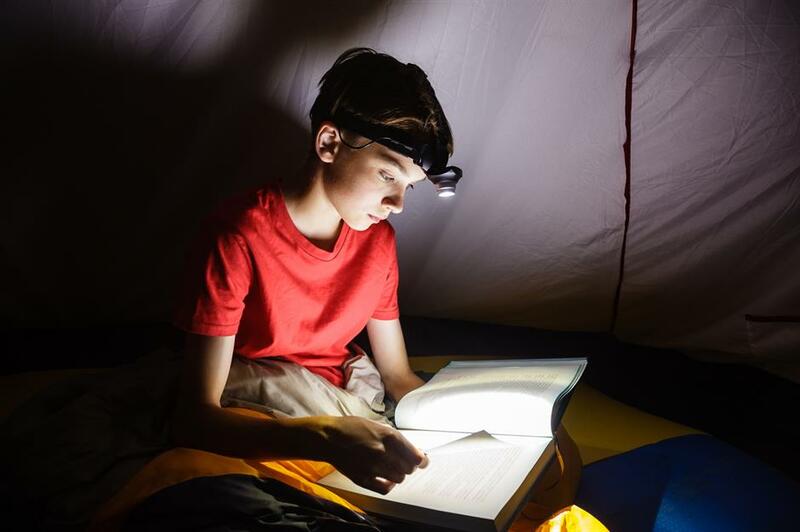 No camper should be without a head torch or lantern, Swiss Army knife, extra batteries for lights, a first aid kit and a power bank. Insect repellent is a good idea for summer camping while ever-versatile duct tape and cable ties can be a camper's best friend. A decent night's sleep can make the difference between a successful trip and a disastrous one. 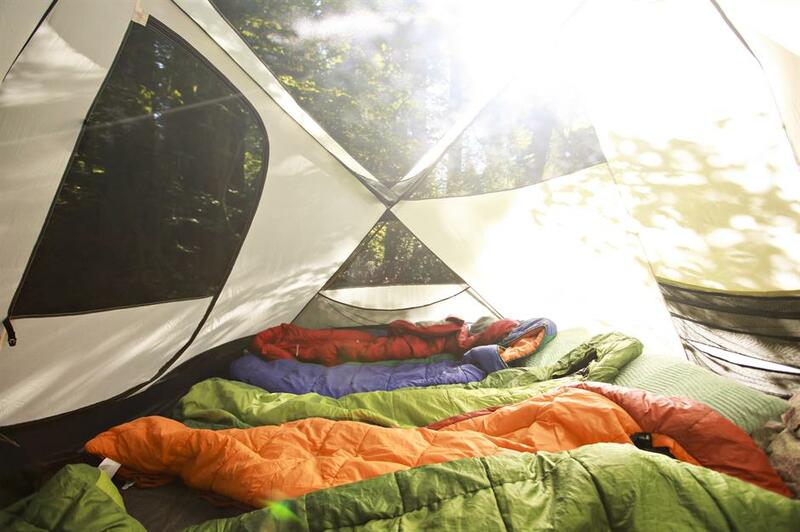 So be prepared: invest in good sleeping bags and air mattresses. Take pillows and extra blankets or duvets to stay super cosy. Earplugs also come in handy in case of nearby snorers and noisy nocturnal wildlife, while eye masks will limit the glare of the early morning sun. 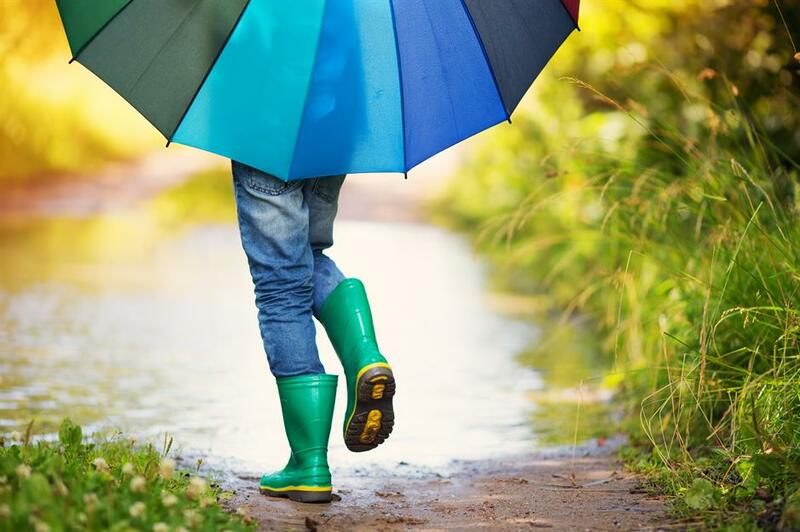 Always plan for bad weather and take waterproofs: a lightweight raincoat and pair of trousers won't take up much room. Waterproof boots are useful all year around, even in the height of summer the grass can be damp in the morning. Thermals are also a good idea as even after a hot day it can get surprisingly chilly at night with just a canvas between you and the night air. It's all about layers when it comes to packing clothes for camping. One of the golden rules of camping has to be to always arrive at your campsite a good few hours before it gets dark. That way you can find your pitch and have plenty of time to set up camp before night fall. Scrabbling around in the dark trying to pitch a tent is no fun for anyone and you're more likely to do something wrong. Make sure you choose a flat pitch without stones and with plenty of space so you're not uncomfortably close to your neighbours. Don't camp under trees, if you can help it, or too close to a stream or lake in case of flooding or late-night loo forays. Once chosen, clear the ground of sticks and look out for ant nests before you start assembling your tent. 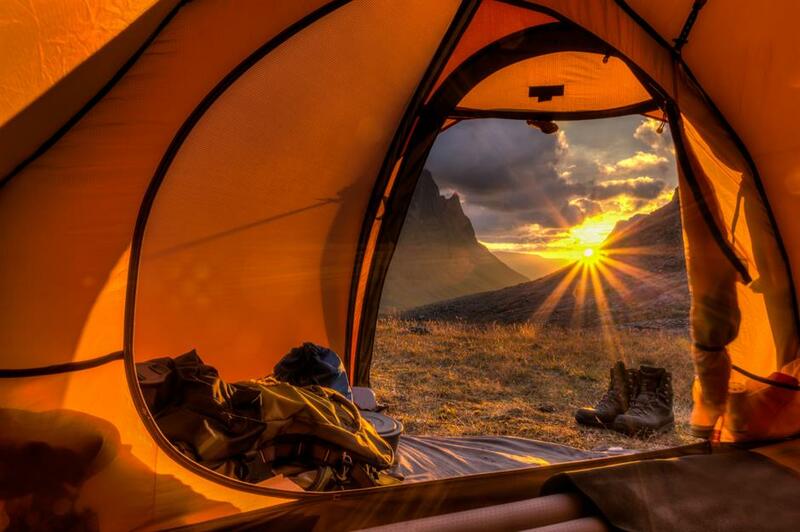 Pitch your tent facing east so you can see the sunrise when you emerge to make a morning cuppa. If it's windy, though, pitch the tent so that the door is facing away from the wind to avoid being blasted every time you unzip. 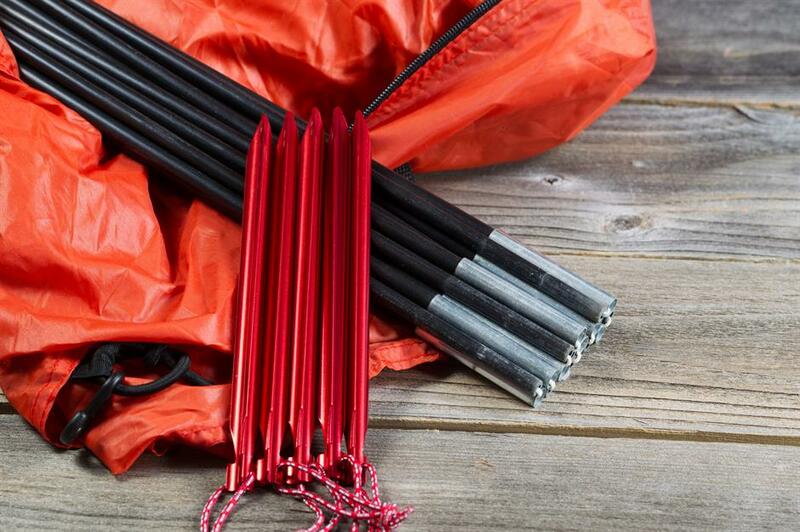 Most tents only come with a basic set of tent pegs so it pays to buy some better ones. 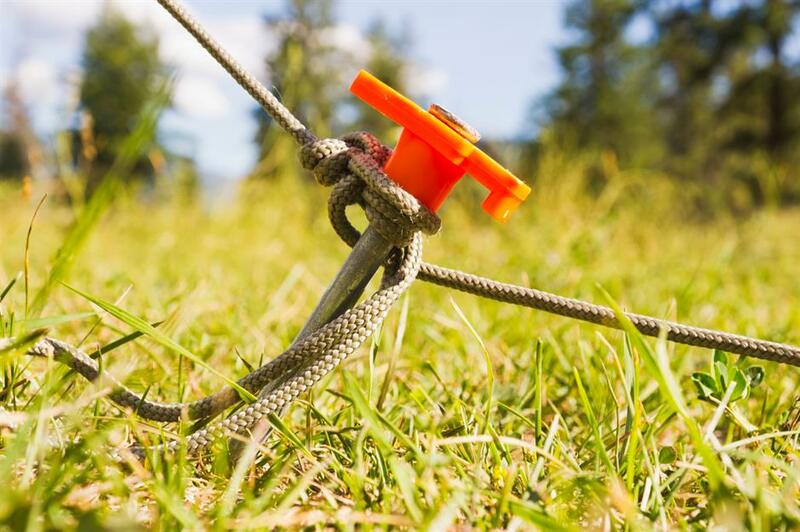 There's a whole range of pegs out there that are designed for different terrain so think about where you're camping and the types of pegs you might need. In high winds, you'll be thankful of having extras. 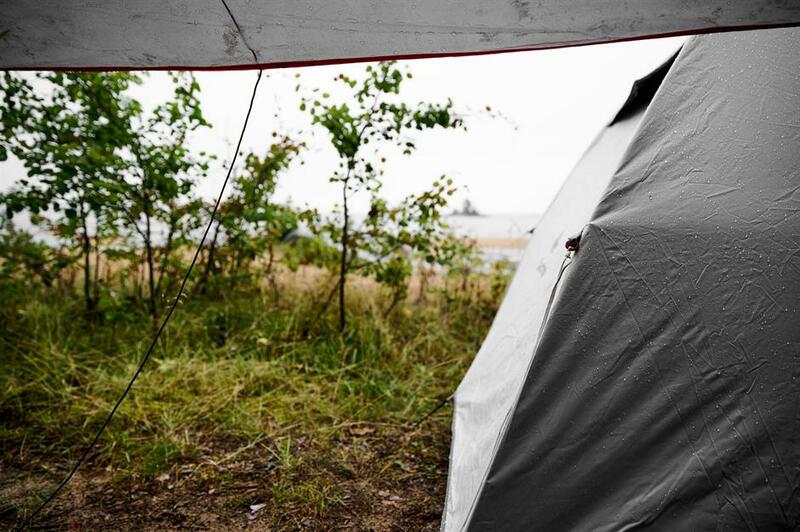 If the rain really sets in, start digging a trench around your tent with a shovel or large stick to divert the water away. 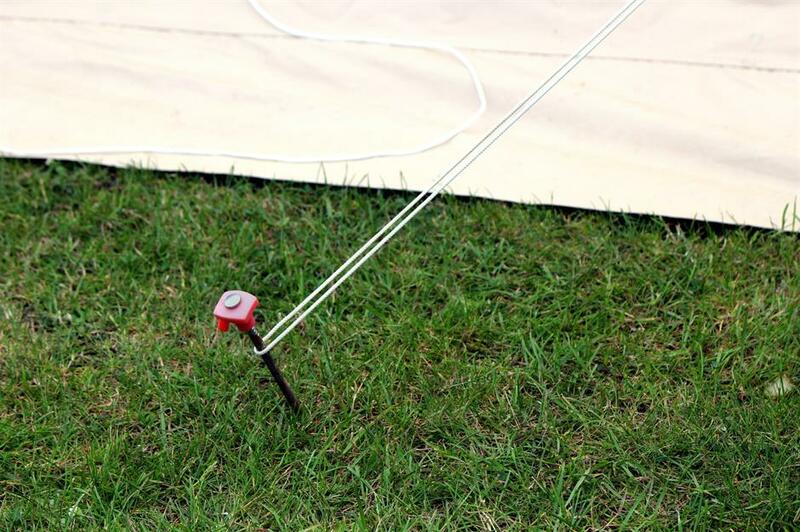 Always peg your tent fly tightly to keep rain away from tent walls and try not to touch the walls when it starts to rain as that can cause a leak. If you have any rips or leaking seams, get the duct tape out. Resealable sandwich bags are a useful item in case of wet weather too – use them to protect valuables such as phones from the damp. A pop-up gazebo is a great addition to a camping trip if you have the space to pack one. It comes in handy if the weather is too hot or inclement. 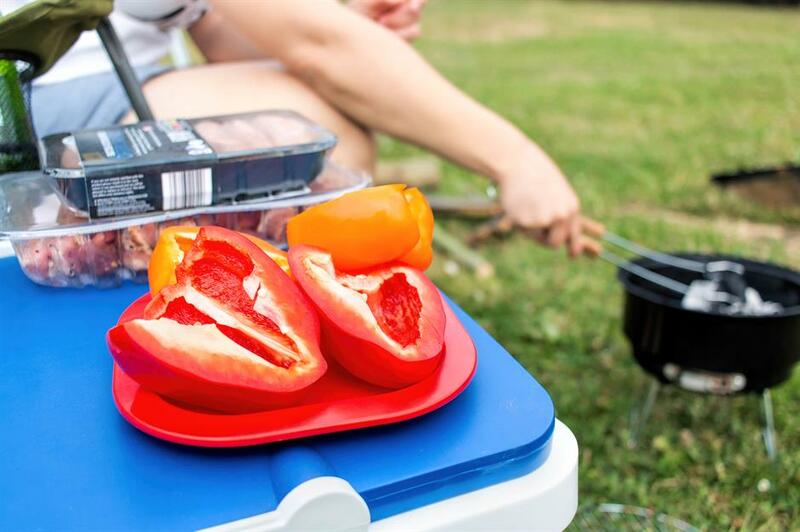 You can prepare food under it, huddle under to it to play games in the rain rather than be confined to your tents or seek shade under it on scorching days. A sheet of tarp can also be fashioned into a makeshift awning too. 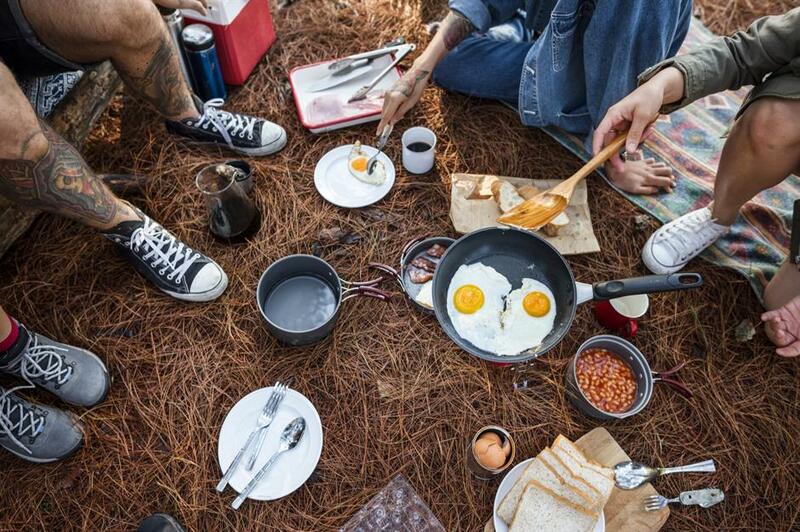 It doesn't pay to be spontaneous when it comes to cooking on a camping trip. Plan out what meals you're going to cook and pack the exact ingredients you need. Keep it simple: one-pot wonders and fish or vegetables cooked in tinfoil are the way to go. Take plenty of dried herbs to boost the flavour and don't skimp on the couscous. It's filling and can be prepared with only boiling water. Make use of the communal barbecues if the site has them. Whatever you're cooking, make sure you start all meal prep and cook in the daylight. It's far easier if you can see clearly what you're doing and you can make sure everything's fully cooked too. The last thing you want on a camping trip is an upset stomach. If cooking in the dark is unavoidable, that head torch will come in handy for lighting your way. All feeling like too much of a faff? Treat yourself to a meal at the local pub on at least one evening. 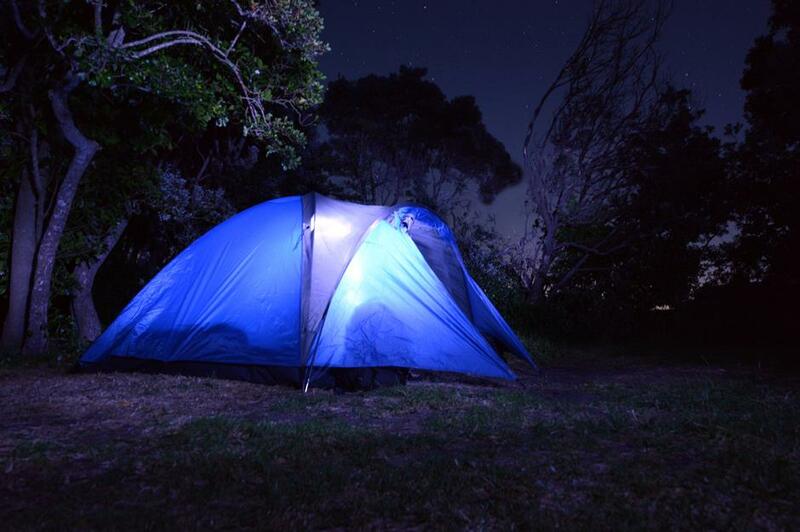 Never keep food inside the tent in case of insects or bigger beasts in search of a night-time snack. Pack away all of your provisions in air-tight plastic boxes and cool boxes and keep them outside the tent in the porch area. Or better still: store them in the car. Always keep matches in airtight containers too to stop them getting damp, unless you're an expert at kindling campfires. 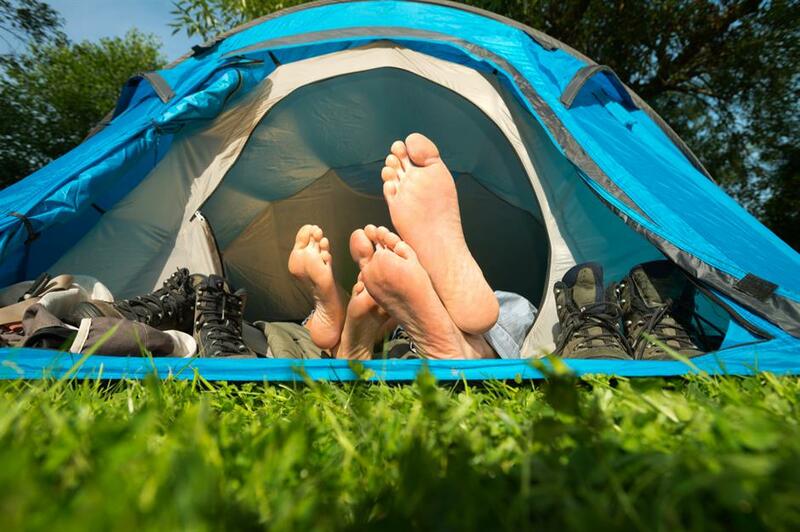 Even if your campsite has shower facilities, make sure you pack babywipes, hand sanitiser and dry shampoo. They're camping saviours for cleaning grubby hands and feet and generally giving yourself a little spruce. 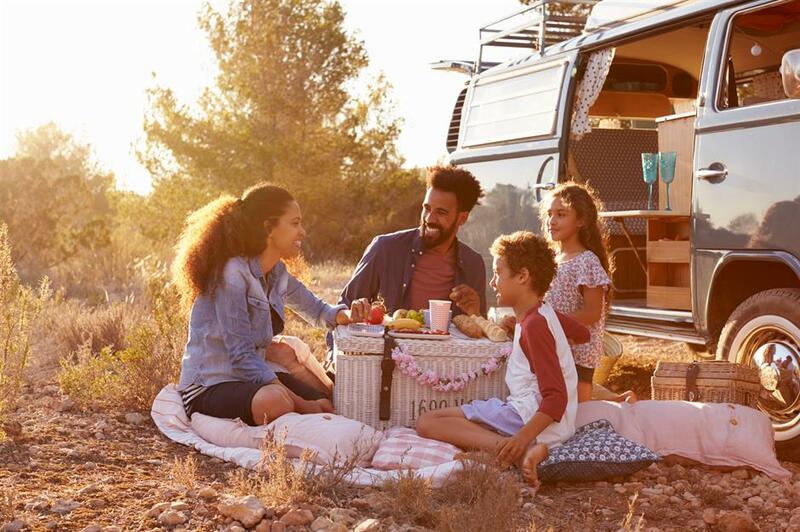 Late nights singing around the campfire, telling spooky stories and star-gazing, camping is one-long adventure for children and can be a rare chance to run free. But if the weather is relentlessly bad, it's a good idea to plan a few days out in local indoor attractions or cinema trips to alleviate cabin fever and let them dry off. 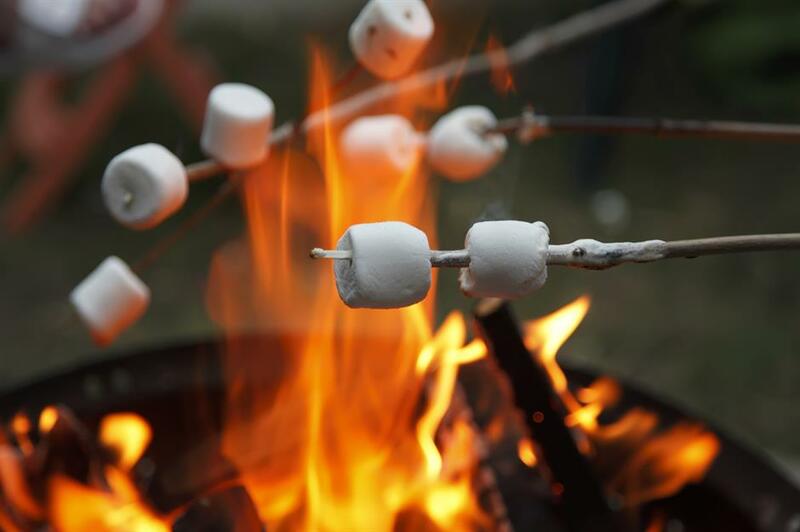 The kids will never forgive you if you run out of marshmallows on night one. Although another fail safe campfire dessert involves splitting bananas and wedging chocolate buttons between them before wrapping in foil and cooking them in the embers of your fire. Camping trip over, now you need to pack up. 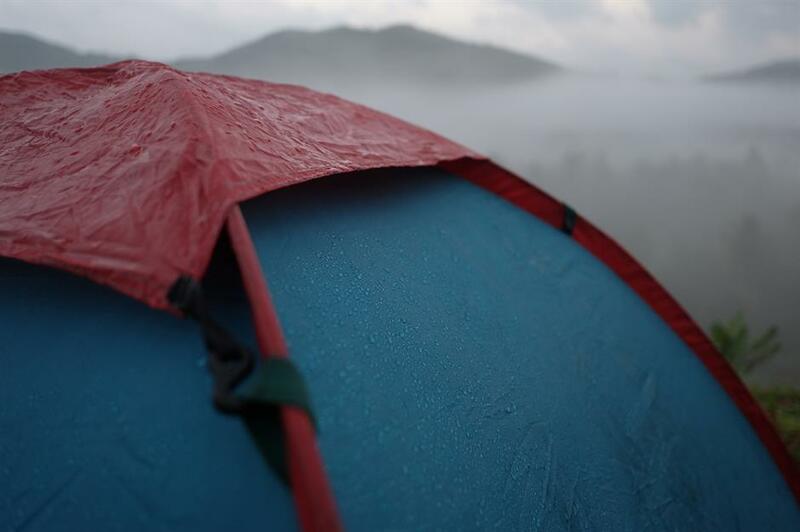 Make sure your tent is completely dry when you pack it away, as mildew can damage it and will make it smell. If you can't get it dry before you leave, remember to unpack it again at home and dry it out. Poles and pegs should be dry too to avoid rust.